Last week we have tried out an interesting method of writing a range of excel data range directly into a Microsoft Access Table. Each row of cells are transferred into the table as a single record. If you have not come across that article then you may find it here. This is an equally interesting method. 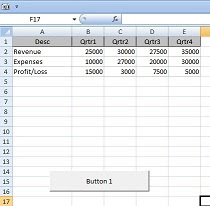 The selected Worksheet contents are appended to the Access Table in it's specified columns in the SQL. dbpath = Application.ActiveWorkbook.Path & "\Database4XL.accdb"
'FROM clause of the SQL String. dsh = "[" & dbWs & "$]"
ssql = "INSERT INTO Table1 ([Desc], [Qrtr1], [Qrtr2], [Qrtr3], [Qrtr4]) "
MsgBox "Data Added to " & dbpath & " Successfully." MsgBox Err & " : " & Err.Description, , "CommandButton1_Click()"
Courtesy: The above VBA Code was taken from a Forum Post of www.mrexcel.com/Forum and modified to run on the same sample data presented in the earlier Article published last week. 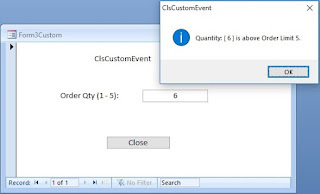 The Code on the Worksheet VBA Module is run from the Command Button1 Click Event Procedure.